Programming the CRICKIT for Selective Soldering: A Deep Dive PART 4 @mfgday #MFGDay18 « Adafruit Industries – Makers, hackers, artists, designers and engineers! Our program was getting there but we were filling in plated thru-holes during random X/Y movements. We needed to trim the fat with regard to cycle time as we knew we’d be making thousands of CRICKIT’s, but we also knew that there wasn’t any way within the software to guide those X/Y movements. Then we had a eureka moment! 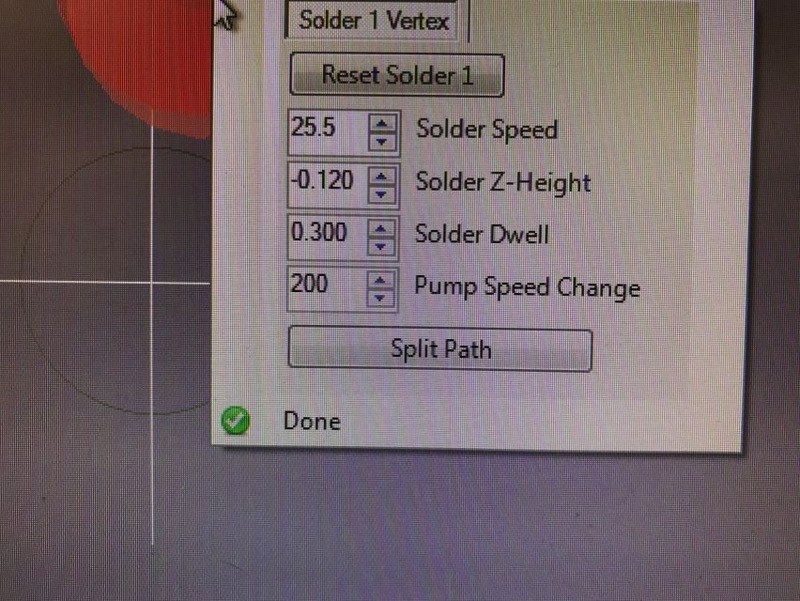 When the nozzle lifts, the pump turns on and solder begins to flow, but what if there was some way to lift the nozzle without creating that solder wave? 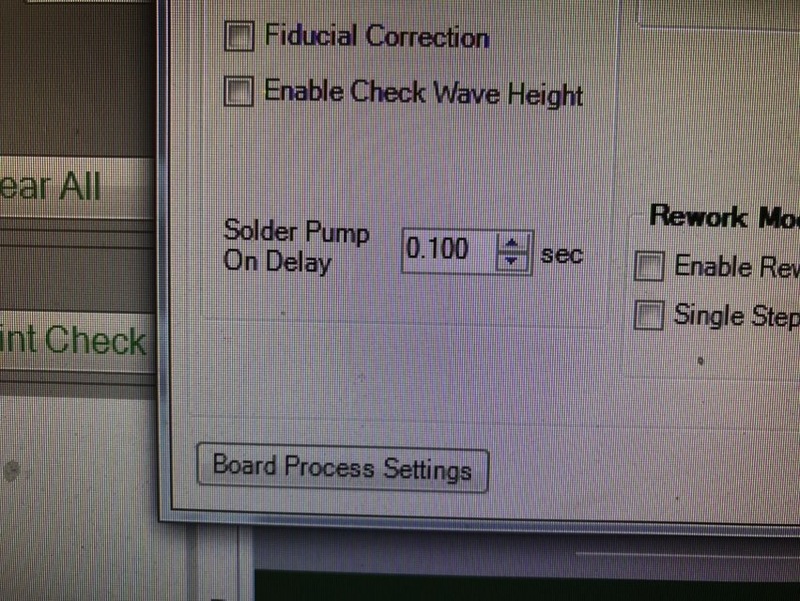 Our solution was to artificially lower the RPM of the pump, therefore lowering the height of the solder wave flowing out of the nozzle and apply a compensating value in the “pump speed change” field on EACH OF THE 9MM SOLDER PATHS. Our initial runs of the CRICKIT panel took 8.5 minutes to complete. After we had instituted all of our changes the program had retained it’s efficiency but was now only running at 2 minutes and 38 seconds! In order to refine your program and make the necessary optimizations you have to build a strong base. Sketch freely and imaginatively but always with the knowledge that the products may still need to be re-worked, tested and QA’d before they can ship. Instead of focusing on problems, exploit opportunities along your way to better solutions.